The forecast promised significant snow for Sunday. When I woke up, I immediately checked the snow report at Targhee and Jackson Hole. Targhee got 0 and Jackson got 9″ since the lifts closed. That means the storm is up against the east side. We decided to take advantage of the lopsided storm and ski on the east side of Teton Pass. Wow! 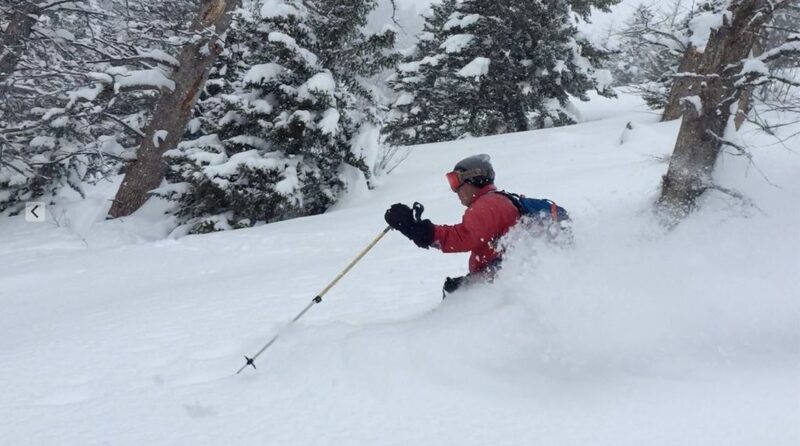 There was at least 12-15″ of new snow, and it was the lightest and best snow I’ve skied this year. 10+ What a gift.